Bob joined South Australia Police as a 17 year old in 1980. He spent the next 17 years in uniform operations in both city and country postings. In 2000 Bob was promoted to a Senior Sergeant position in the then new intelligence function established under the Focus 21 reforms that included the concept of ‘intelligence led policing’. Bob was promoted to Inspector in 2004 and as a result of working on a small project team that developed and implemented the Emergency Management Act (SA)2004 Bob was seconded to the Department of Premier and Cabinet for two years developing and implementing multi-agency emergency management arrangements in light of the 9-11 terrorist attacks. 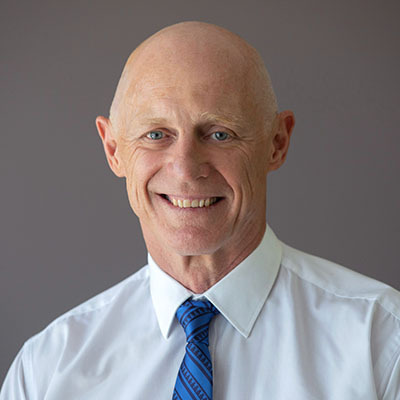 When Bob returned to SAPOL he remained in a counter-terrorism, emergency management role, firstly as the OC Security Intelligence Section and then OC Emergency and Major Events Section. From these central support areas Bob was promoted to a Local Service Area Commander role in country South Australia. Bob acknowledges that this was perhaps the steepest part of his management and leadership learning curve. In 2009, Bob was promoted into the role of OC Centre for Leader Development. Bob was responsible for promotional programs to Superintendent rank. It was in this role that Bob developed a deep interest in the study of crisis decision making particularly in a command and control context. This interest was driven in part by his participation in the AIPM Graduate Diploma program. After four years, Bob was transferred to the Branch responsible for the S.A. Police centralised road policing resources. In 2015, Bob was promoted to Chief Superintendent where he was initially the Coordinator for Operations Support Service and was then moved to lead the implementation of an organisational reform program. Bob holds a Bachelor of Applied Science and a Master in Leadership and Management (Policing). Bob is married to Lisa and has three adult children. Although his family is his greatest source of stability and strength, his children are also his greatest source of stress. Balance in terms of work, family and health is important to Bob and now that his knees are beyond the field sports that he enjoyed he has taken up paddling as a means of fitness and relaxation.